No matter who you are or where you’re coming from, if you’re attending TC17, come and join us for the Data+ Women event, Monday, October 9 at 4pm in South L2, Oceanside C.
We’re also thrilled to have speaker, Dr. Talithia Williams, joining us at 2:30 pm in South L2, Oceanside A, where she’ll share how she makes sophisticated big data concepts understandable for anyone. In addition to Dr. Williams, the Data + Women panel will have a great line up of inspirational women who are here to share their personal stories about data, careers, and bringing equity and inclusion into the workplace. And even though this session is an awesome time to make connections, these events are going to be more than just networking. Here are four reasons we’d love everyone, regardless of gender, to join us. On Monday afternoon, statistician, mathematician, and amazing leader Dr. Talithia Williams will share a keynote at 2:30 pm and then participate on the Data + Women panel. She’s best known for her popular TED Talk, “Own Your Body’s Data,” and her statistical models, which emphasize the spatial and temporal structure of data. She’s partnered with the World Health Organization in developing a cataract model that is used to predict the cataract surgical rate for countries in Africa. She’s also the first black woman to achieve tenure at Harvey Mudd College, and she’s made it her life’s work to help advance women and girls in engineering and science. You really don’t want to miss the opportunity to see her speak! When we all show up for a conversation, we create more opportunities to talk with people outside of our everyday circles. When that happens, we collectively generate more data points, find more insights, and foster more opportunities for growth, change and impact. Community is at the heart of everything we do at Tableau Conference, and we want to make sure you know you’re invited to share your voice, stories, and data. Speaking of more data—having the facts facilitates decision-making for the greater good. We can all use data to explore what’s actually happening in the world and our workplaces. For example, we can learn from data visualizations like the Gender Pay Gap or Policy Link’s National equity Atlas. Information fuels change. Data will quickly inform us of our own biases and help pave the path forward. Come to these sessions to get informed and inspired. At Tableau, we recognize that even with established core values, it’s often challenging to walk the walk. While we’re working hard to drive action with new efforts like our Diversity and Inclusion program, we’re also still taking notes and learning from what other people and organizations are doing well to improve equity in the workplace. In these sessions, we’ll all learn things we can directly back to the workplace. If you’re excited to get more involved, make sure to participate in the International Day of the Girl, happening this Wednesday, Oct 11. Because 130 million girls don’t have access to education, One.org is asking the world to count them one by one. Click here to pick a number, on behalf of one girl, and record yourself counting her in a photo or a video. 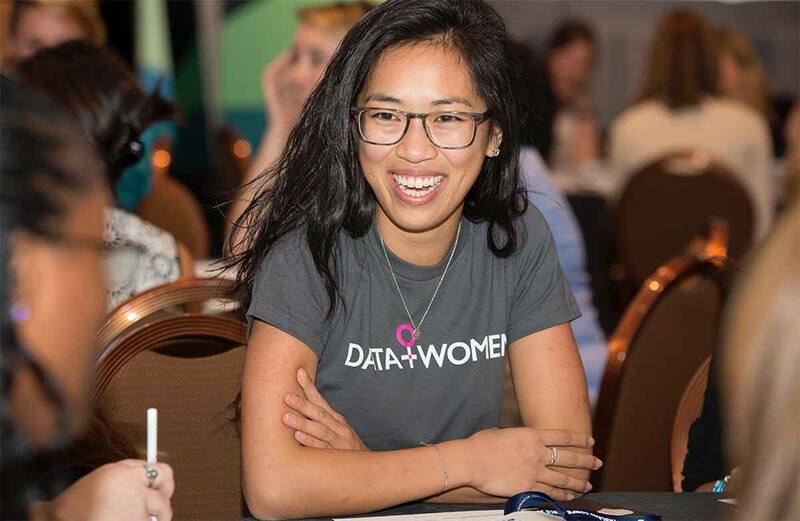 Also, Tableau is using the hashtag #datapluswomen, so feel free to use it when you share your photos, videos and experiences of the events!